NOEMI SCHIPFER Illustrator / TAKAMI NAKAMOTO Architect Musician. 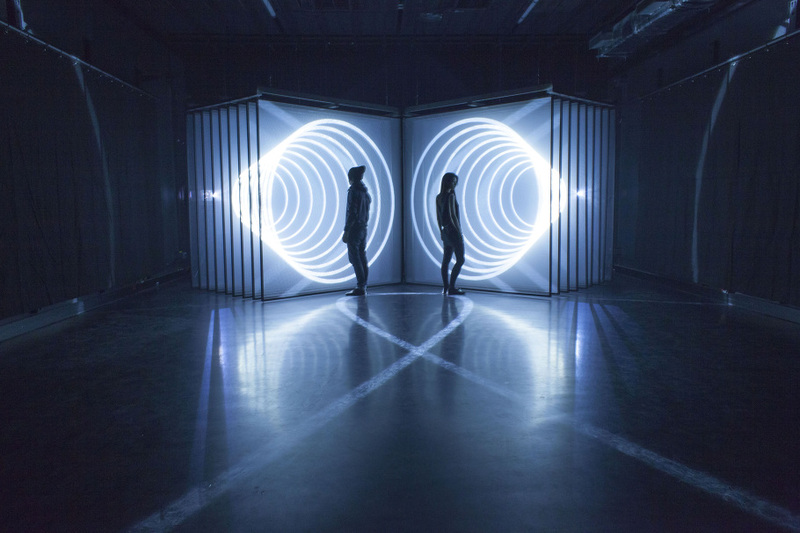 In early 2013, they start to work on light and sound installations, creating an ethereal, immersive and dreamlike environment meant to envelope the viewer, capitalizing on Takami Nakamoto’s approach of space & sound, and Noemi Schipfer’s experience in kinetic visual. They presented their first audiovisual installation at the Mapping Festival in may 2013. In summer 2013, NONOTAK come up with a performance, LATE SPECULATION, where they are the creators and contents of the project. NONOTAK have been commissioned by the Mapping Festival ( GENEVA ), EM15 ELEKTRA / MUTEK ( MONTREAL ), la Nuit Blanche ( PARIS ), Roppongi Art night ( TOKYO ), Axcess Art Gallery ( NEW YORK ), Stereolux ( NANTES ), Playgrounds Festival ( TILBURG ), Mirage Festival ( LYON ), Vision’R, Insanitus Festival ( LITHUANIA ), FUZ Festival ( PARIS ), Lunchmeat Festival (PRAHA ), KIKK Festival ( BELGIUM ), Nokia by Lumia ( ISTANBUL ). Their work have been exhibited at institutions and galleries including Tokyo Grant Hyatt Hotel, l’Opéra de Lyon, Batiment d’Art Contemporain de Genève, Theater de NWE Vorst, La Fabrique, Pavillon Carré de Baudouin, Le Générateur. Parallels is a brand new audio visual installation by Takami Nakamoto and Noemi Schipfer, commissioned by STRP. Like in all their installations Parallels explores light as a material, but this time the space as a whole becomes their screen. ( Reference to Daydream installation series) The boundaries and notion of space, become abstract as the audience crosses the room, but in doing so, the audience also affects the space by breaking the light. This installation is strongly connected to the space in which it takes place; it lives within it. 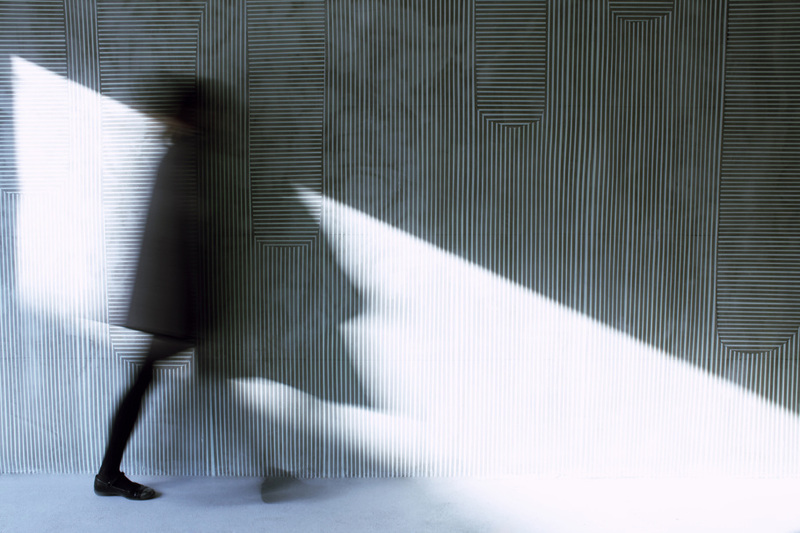 But as soon as the light hits the walls that define the space it reaches its limits and stops reproducing itself. The installation is also inspired by Anthony Mccall’s exploration of light and space. NONOTAK – PARALLELS from NONOTAK STUDIO on Vimeo.